For New Zealand’s Bay of Plenty region, tourism is about more than economic growth; it means striving for a better quality of life. To this end, Tourism Bay of Plenty has a bold, 10-year destination management strategy that balances environmental, social, cultural and economic priorities. The strategy emphasizes that residents, the tourism industry and visitors need to co-create tourism in a way that makes a net benefit for everyone. Some locals have already put this concept into practice, providing a powerful example for destination marketers seeking to improve word of mouth. Residents of the town of Whakatāne, inspired by successful conservation efforts, have developed a year-round tourism experience that benefits locals, visitors and the natural environment. It also helps the town meet visitor expectations by providing activities related to its distinct identity as “The Kiwi Capital of the World”. The story of Whakatāne’s tagline is remarkable. In 1999, eight kiwi birds were unexpectedly found in a nearby nature reserve and believed to be an almost extinct local population. By guarding against pests and preserving habitat, conservationists have been able to protect the species and grow kiwi numbers to over 300. 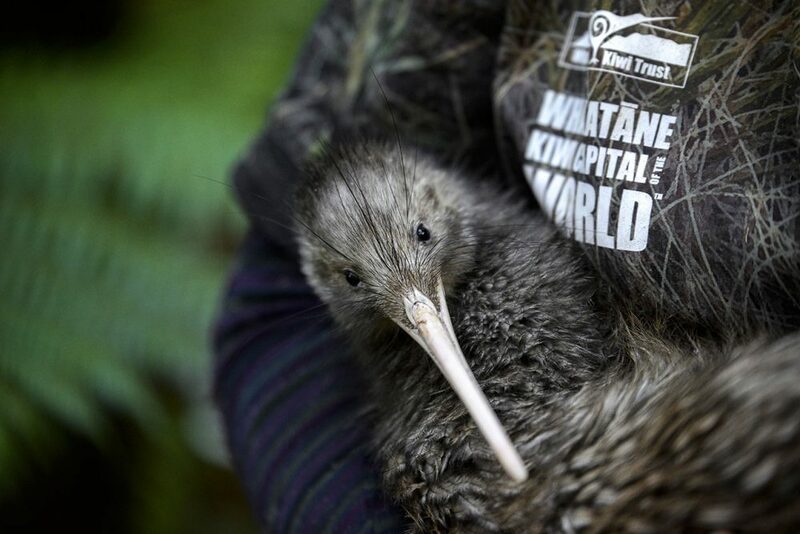 Today, the Whakatāne Kiwi Trust leads conservation efforts as a non-profit, volunteer-driven organization that enjoys strong community support. “We’re the biggest volunteer group in the Bay of Plenty, full stop,” says Neil Hutton, the Marketing Team Leader for Whakatāne Kiwi Trust. Neil is also a photographer and a Community Ranger in New Zealand’s Whirinaki Te Pua-a-Tāne Conservation Park. Our team met Neil during one of Destination Think!’s Place DNA™ workshops for Tourism Bay of Plenty, which has been part of our process to build a destination development plan that aligns with local values. 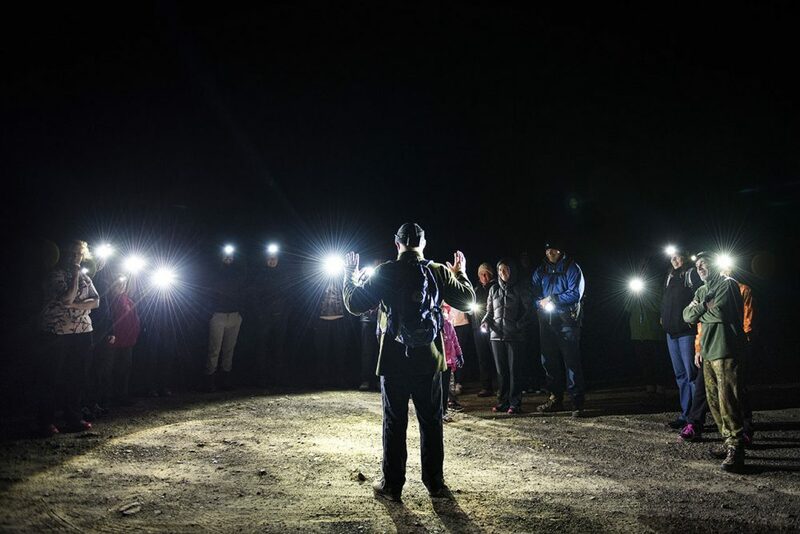 In the winter months of May, June and July, Whakatāne Kiwi Trust has provided weekly, guided Night Walks where people can encounter kiwi in their natural habitat. “That’s when the kiwi are breeding,” Neil says. “They’re calling each other, looking for mates. So they’re really active.” In 2018, the volunteer-led Night Walks were fully booked, attracting a mixture of local families, domestic tourists and international tourists. Bay of Plenty visitors and residents experience Whakatāne Kiwi Trust’s Night Walks during the winter months. In the summer months, kiwi are much harder to find. Daylight hours are longer, the birds are nesting and volunteer hours are limited – all factors that make the Night Walks impractical. Some visitors have gone away from Whakatāne disappointed. Artist Dr. Liz Grant holds a kiwi. Neil saw this as an opportunity to work with the community to develop a new, year-round kiwi adventure called the Kiwi Wandering Trail. In a twist on the oversized statues of local icons located in other towns in New Zealand, the new trail consists of 10 small, bronze kiwi sculptures placed around Whakatāne. Created by New Zealand artist Dr. Liz Grant, the anatomically correct sculptures are part of a scavenger hunt that leads people through the centre of town, ending at Wairaka Centennial Park, a well-known local attraction. The Wandering Trail, launched in December 2018, offers visitors “a product that is tangible, is educational, and that benefits kiwi conservation during the summer,” says Neil. “So if [people] come with their family, they can do this walk and take pictures next to a life-size, life-like kiwi. And they can learn about kiwi conservation.” The walk also connects visitors and locals with other Whakatāne attractions along the route, making the overall experience more valuable. Best of all, the Kiwi Wandering Trail inspires storytelling that is directly linked to Whakatāne’s identity as a place that values conservation and the natural environment. The photogenic kiwi statues are purposefully positioned to tell the town’s story. The final kiwi stands near the iconic Wairaka Statue. “When you take a picture of this bronze kiwi, there’s no question that it’s in Whakatāne,” Neil says. 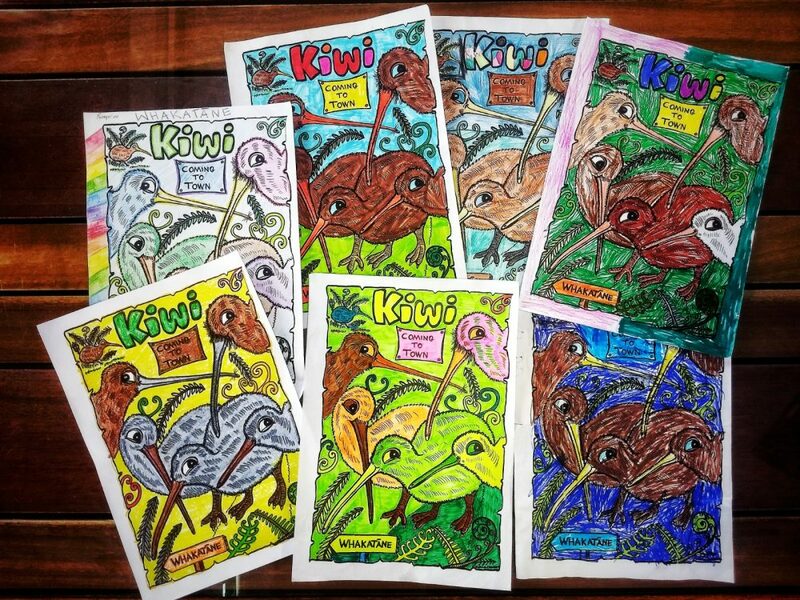 Entries to a kiwi colouring contest leading up to the launch of the Kiwi Wandering Trail. What can DMOs learn from experience development in Whakatāne? Children enjoy one of the sculptures on the new Kiwi Wandering Trail. 1. Your destination’s residents are important stakeholders. How well do you know them? Community leaders and locals like Neil are the ones welcoming your visitors, building experiences and talking about your destination. They have a lot to offer. By inviting people outside the tourism industry to contribute to your tourism plan, you’ll ensure that your messaging and actions align with local values while building a network of support. Tourism Bay of Plenty’s destination management plan holds resident involvement as a priority. For example, the DMO has recently invited people like Neil to be a part of our Place DNA™ process and also encourages locals to get involved with destination promotion through their No Place Like Home project. 2. Visitor experiences become visitor stories. Together, these two elements make up your destination’s tourism brand. If word of mouth isn’t as positive as it could be, improving the quality of local experiences is a good place to start. 3. Help your tourism operators through ongoing education programs. Your DMO can become the go-to source to help business owners brush up on modern marketing tactics, customer service techniques and experience development opportunities. Some of our clients, like Destination British Columbia, have been able to encourage the development of high-quality, shareable experiences this way. Contact Destination Think! to help you lead your destination with smart, collaborative strategies that supercharge word of mouth.